There’s always something new happening at Ryder. Stay up-to-date with the latest press releases and company news. Gateshead-based national haulage and storage specialist Tyneside Express Transport has replaced its five-year old DAF CFs with new DAF XFs from Ryder, a leading independent provider of commercial vehicle rental, contract hire, and maintenance services in the UK. Tyneside Express has been a Ryder customer since 2005. The new 44t XF480s replace Euro-5 models, meaning 90% of the Tyneside Express fleet is now compliant with Euro-6 engine emissions standards. The company has also taken on some additional XFs to maintain service standards as volumes grow. Ryder, a leading independent provider of commercial vehicle contract hire, rental, and maintenance services in the UK, has partnered with TRAILAR, fuel and emission reduction technology experts, to become the exclusive provider of the TRAILAR system for rigid vehicles that uses cutting edge solar technology. Full load transport specialist Brit-Pol has sourced new DAF XF 480 tractor units along with vehicle damage protection package from Ryder, a leading independent provider of commercial vehicle contract hire, rental, and maintenance services. The tractors are a mixture of replacement and additional vehicles, and operate from Brit-Pol’s Immingham base, hauling full loads from the Port of Immingham and Humber Sea Terminal for clients such as LKW Walter, DFDS Logistics and DSV. While Econic tractors have been tested in the UK, this is the first to go into service with a truck operator. This Econic 1835L 4x2 is derived from an 18t Econic rigid chassis and, as the first of its kind, served as a prototype for Mercedes-Benz, going through a rigorous step-by-step research and development process. Ryder, a leading independent provider of commercial vehicle rental, contract hire, and maintenance services in the UK, has supplied 12 new Mercedes-Benz Actros 1843 4x2 tractor units to bed manufacturer, and long-standing customer, Relyon, under a five-year contract hire deal. The new units - specified with 2.5m-wide StreamSpace sleeper cabs - are fleet replacements, and will be used to deliver Relyon’s mattresses, divans, and headboards across the country. William Wilson, one of Scotland’s leading providers of plumbing, heating, and bathroom supplies, has taken on another two trucks from Ryder, a leading independent provider of commercial vehicle contract hire, rental, and maintenance. The latest replacements are DAF LF150 curtainsided rigids with day cabs. Each truck features a purpose-built restraining system, 1 tonne full-closure cantilever tail lift with detachable safety gates, and Vehcam camera system with left-turn monitoring. 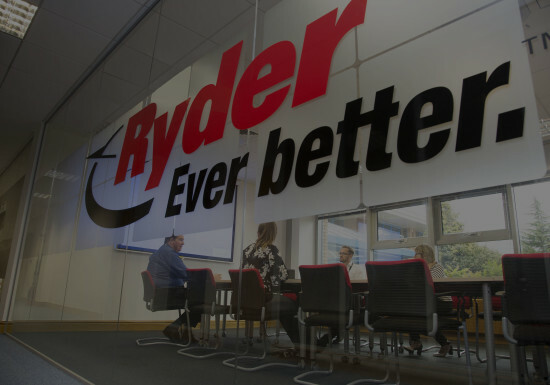 Birmingham, UK, 19 February 2019 – Ryder, a leading independent provider of commercial vehicle rental, contract hire, and maintenance services in the UK, is now accepting applications for its 2019 apprentice technician programme. Ryder, a leading independent provider of commercial vehicle contract hire, rental, and maintenance services in the UK, has announced that the company’s Driver Training Academy has successfully trained eight police officers from the Central Motorway Police Group (CMPG) to assist in obtaining their HGV Class 2 Cat C licence. The officers required a truck licence to bolster the ranks of a special unit within CMPG that operates an HGV ‘supercab’ to identify truck drivers who may be flouting the rules of the road. Ryder, a leading independent provider of commercial vehicle contract hire, rental, and maintenance in the UK, is supplying 14 new Mercedes-Benz 314 high roof, long wheel base Sprinter vans and 1 Luton to Willerby, one of the UK’s largest manufacturers of holiday homes and lodges. The new vehicles are being supplied with an eye-catching full wrap reflecting Willerby’s unique corporate branding. Stephenson College has recognised Ryder’s support for apprentices by presenting the UK’s leading independent provider of commercial vehicle contract hire, rental, and maintenance services with the Contribution to the College Community Award at its recent graduation ceremony.